A few weeks back there was mention once again of the World's Fair that Mussolini wanted to host in Rome in something like 1942, that never happened because the war broke out. 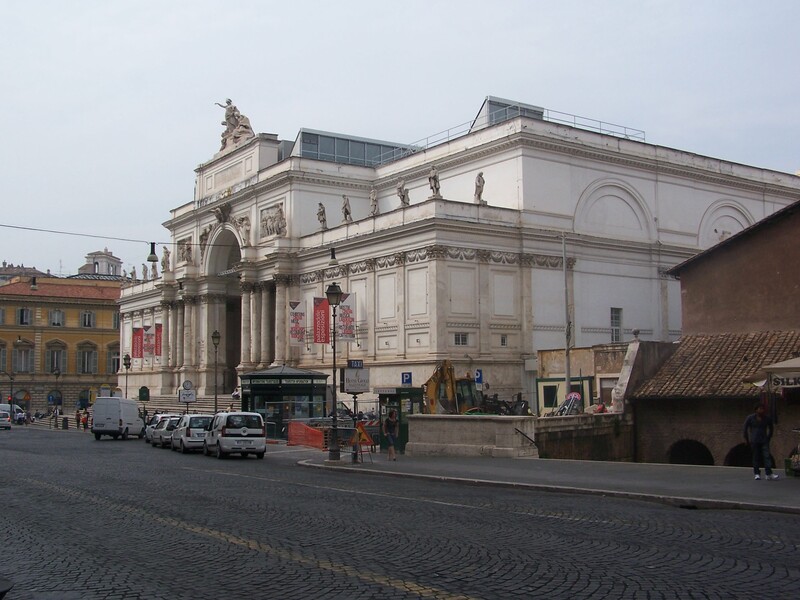 While in Rome the last couple of weeks I saw something on the walking map that the hotel gave me, called the Palazzo delle Esposizioni, that had a large building or monument. It was very close to my hotel, so I thought I'd walk over there to check it out. Here are the pictures I took. It's a large fancy building, but the writing up at the top seems to indicate the year was 1882, if I remember my Roman numerals right. 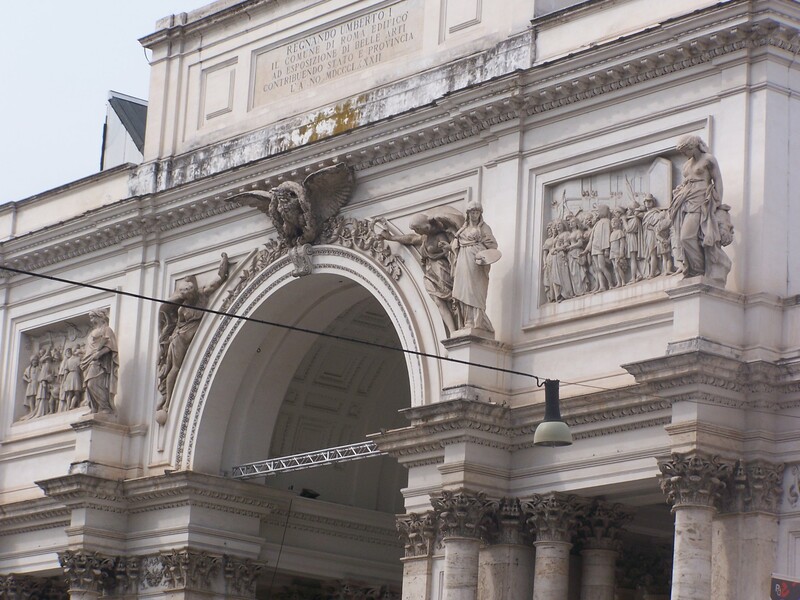 Does anybody know anything about a Esposizione di Belle Arti in Rome in 1882, during the reign of King Umberto I ? Here is a history explaining about this building. It wasn't part of a larger exposition. 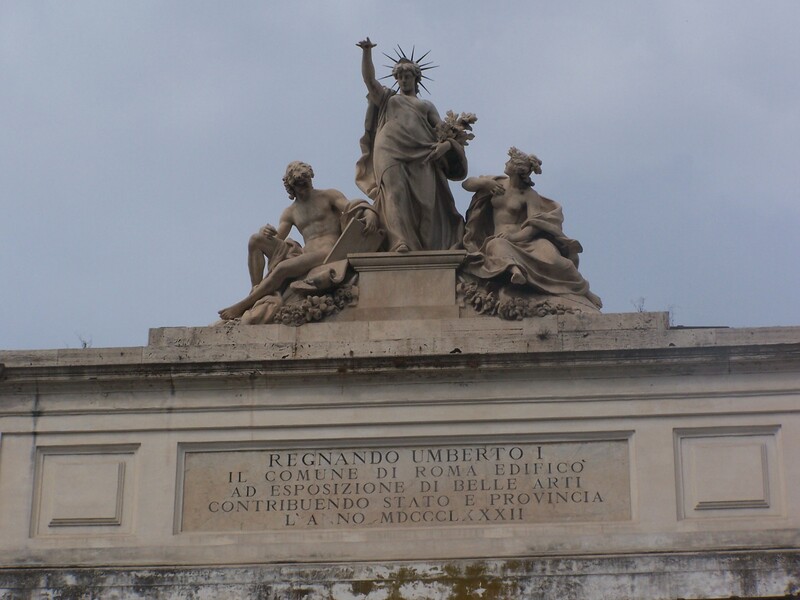 Just learned that the United States' participation in the 1942 Rome Exposition was contingent on Italy agreeing to participate in the 1940 season of the New York World's Fair. They did not want to continue into the 1940 season because the pavilion's restaurant lost $250,000 during the 1939 season. Not entirely surprising since Italian food was everywhere in NYC and the more exotic food of Hungary & Rumania & France etc. were a great draw.